When you think Lebanon’s politicians couldn’t sink lower, they utterly and irrevocably surprise you. Two days ago, when we peacefully protested to defend our right to have a country where their corruption doesn’t reign supreme, our politicians surprised us by orchestrating a military response that not only echoed that of Arab countries where suppression is a way of life, but paralleled it to the letter. We were beaten. We were hosed. We were shot at. We were tear gassed. Yesterday, our politicians sank to a newer low when they orchestrated another type of response to the YouStink protests as they sent their goons to infiltrate the ranks of peaceful protesters and make sure they wreck havoc. The protestors had nothing on them; the insurgents had lasers, molotov cocktails and various other weapons. The protestors were chanting for their rights; the insurgents were chanting for their sect. The protest turned from shouting “revolution” to shouting their sect name in no time. I don’t have proof of which politician ordered the infiltration, but his name is known. He’s been fastened to the same leather chair, stronger than super glue, since 1992. Today, our politicians are so afraid of what could be from the Beirut Uprising that they’ve gone the extra-mile to make sure the psychological and military barrier that separated them from the people is re-inforced by yet another kind. 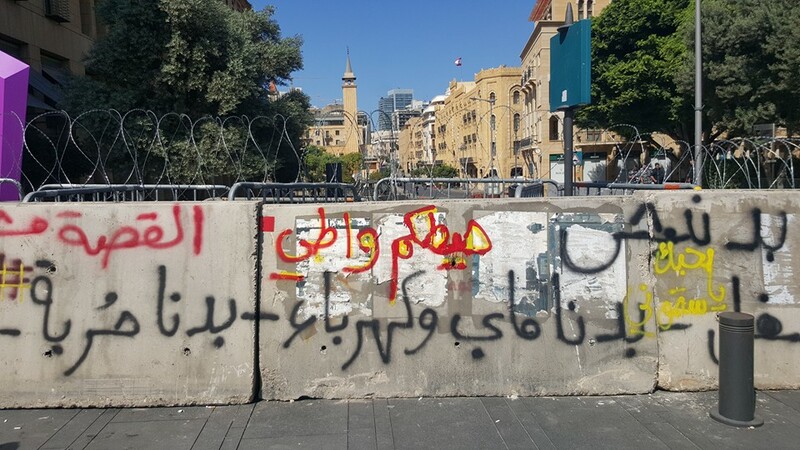 Today, in Downtown Beirut, across Riyad el Solh square, a concrete wall has been erected to separate our governmental seat from the people. As soon as it was built however, the youth of the country used the wall as a space to get our government to see what it’s worth every single time its members pass by the area to infuse the country with more corruption. This wall is a sad entity but it’s been turned to something beautiful. Lebanon has now joined the very exclusive list of countries in the world where people are separated from each other by physical barriers existing solely for political reason, only this time the only entity separating itself from the people is the country’s political establishment. The Lebanese system keeps digging itself in a hole. The more a system is disconnected from the people that make it, the more it’s afraid from those same people. This is why that same system fired at us on Saturday. This is why that same system tried to tarnish the protests yesterday. This is why that same system is barricading itself behind a wall today. The Serail is not for a PM or a minister, it’s for the people. Nejmeh Square does not belong to the Speaker of Parliament or his MPs, but to the people. They can build as many walls as they want, but that doesn’t make our claims of wanting to live in dignity any less just, and their need to stay in power any less barbaric. 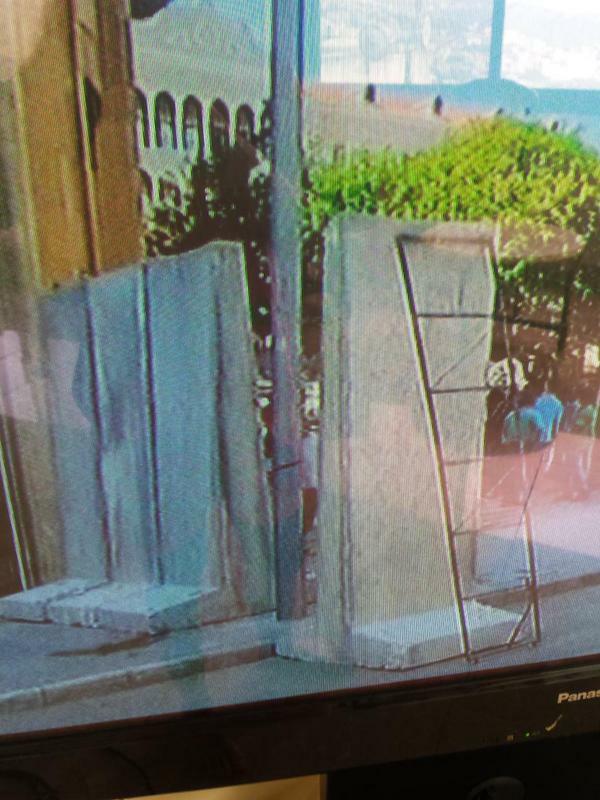 The Lebanese government is protecting itself from us by a wall. What they fail to realize is that their main problem isn’t the physicality of a protest. Their stench rises above the wall. Their failures rise above the wall. Their corruption is sinking an entire country, including their new wall. Today, Downtown Beirut has a new attraction to add to the list of things that make it an obscene place to visit, a place that is not only non-Lebanese, but irrevocably hostile as well. Thank you Lebanon’s government for making sure I feel, with each passing day, more of a stranger in my own home. If only they know, though, that any wall that goes up must eventually go down, not necessarily by force. There are some words that have the effect of wrecking balls. Update: the wall is being brought down. This will go down in history as the shortest living separation wall ever. Posted on May 20, 2013 by eliefares Tagged ArcheologyChurchDistrictSDowntown BeirutLebanonMinistry of Culture	Comments5 Comments on Ministry of Culture To Buy Land & Save Lebanon’s Oldest Church in Downtown Beirut? 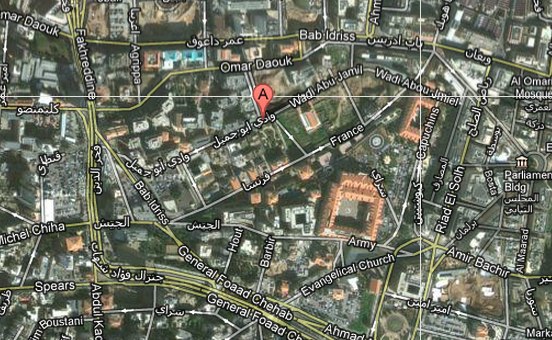 Ministry of Culture To Buy Land & Save Lebanon’s Oldest Church in Downtown Beirut? Lebanon’s possibly oldest church (source). I wrote on the issue yesterday. The matter has since made the rounds online. And it seems we’ve made a ripple. Lebanon’s ministry of culture is now considering to purchase the land where “The Landmark” is to be built because of its historical importance according to the following source (link – Arabic). While the news is definitely welcome, I have to wonder – is it really Lebanese-like to have a ministry with a proven track record – the Roman hippodrome, Phoenician port and Amin Maalouf’s house are all destroyed – somehow respond this fast to demands and act on them? Isn’t it all too fast and too efficient to actually be plausible taking into consideration Lebanese standards? Perhaps this whole “land purchase” deal is a decoy in order to calm down everyone whilst the real plans go underway. It’s not a conspiracy theory as much as it is the reality of a place like Lebanon where such things happen almost all the time. 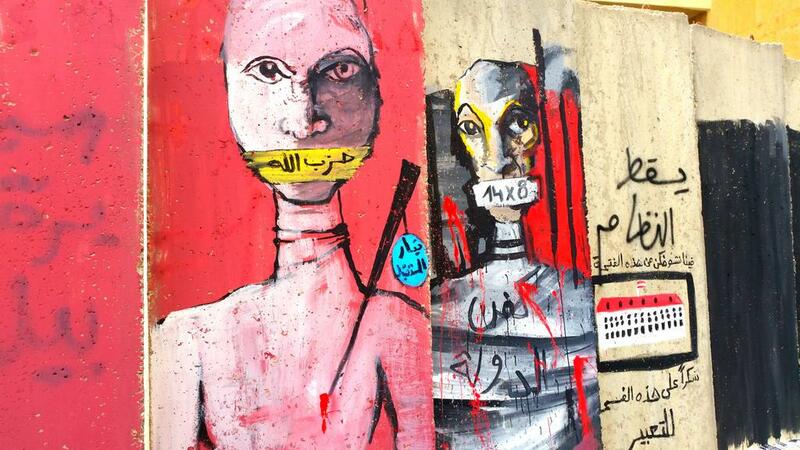 The question to be asked though: what truly got the ministry of culture to act this time while they didn’t regarding other sites despite all of them getting the same attention and vocal opposition to the demolitions? It’s quite simple, in my opinion. “The Landmark” land has had a Church discovered in it. 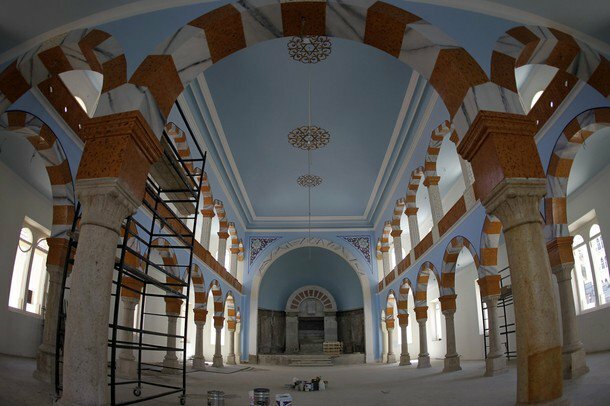 Prior to the discovery of the Church, and even though the Roman gate and road were both potentially discovered, the ministry of culture had no problem leaving the project underway and everything demolished in the process (source). But when a church comes into play, can a “Christian” minister truly leave the place be especially with so many “rights” at stake lately? It’s not about “culture” at all. Ancient churches obviously trump everything else in archeological importance. And quite honestly, it was probably really smart to add a “Church” twist to the affair in order to get people – including the minister – to act. Can you imagine the even bigger outrage if the Church wasn’t saved? Moreover, isn’t it despicable for us to now start hoping religion factors into the undiscovered aspects of our history in order to have a decent chance at having them saved, documented and potentially turned into a viable economical outlet that doesn’t require their demolition? Based on a comment on my post regarding the matter (link), a law in Lebanon actually exists in order to protect ancient ruins from the claws of real estate and developmental projects with no other aim but blind money. The law in question was put into action prior to the civil war and hasn’t probably been put on hold akin to our new driving law. Shouldn’t a country as archeologically rich as Lebanon, and a city with layers upon layers of history such as Beirut, have devised a method by now in order to accommodate the need for contemporary development with the need to also preserve history? How did cities like Rome and Athens manage to move into the 21st century? I guess it all comes down to the basic flaw in everything Lebanese: we never, ever, have a plan and a vision for a future. How will the moguls behind “The Landmark” take the news that their entire investment will now go to waste? Is this even charted territory for us whereby the billionaire developers don’t get their way – in theory at least? 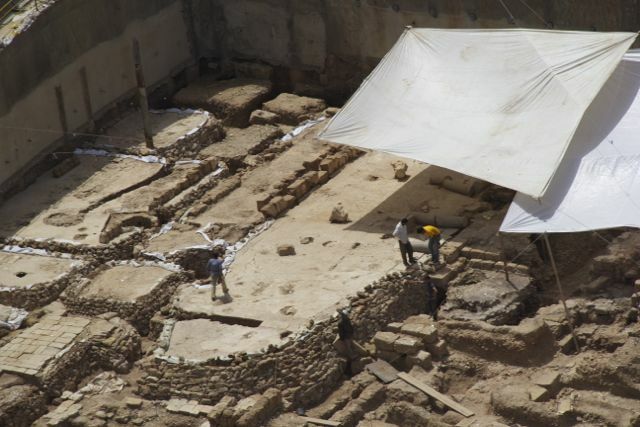 I hope for its sake that the next site to be unearthed in Beirut has some Umayyad mosque in it. Posted on May 19, 2013 by eliefares Tagged ChurchDowntown BeirutGaby LayounMosaics	Comments31 Comments on Lebanon’s Oldest Church Discovered & Will Be Destroyed Soon? What will replace the Roman gate and road as well as the potential Church? A five star hotel and mall. Because that’s precisely what Downtown Beirut is so desperately lacking. After all, why would any tourist in their right mind want to see anything in Beirut that doesn’t revolve around the Zaitunay Bays and the Solidere edition of Downtown Beirut? Gaby Layoun is well on his way to be Lebanon’s prime minister of culture to allow the most transgressions against Lebanon’s culture. From the Roman hippodrome, the Phoenician port, Amin Maalouf’s house and the constant destruction of Achrafieh to the current site at hand. Of course, all of the aforementioned entities are not things that can be milked electorally for them to be anything substantial for Layoun and his friends. Roman hippodrome and Christian rights sure doesn’t sound catchy enough. We, as Lebanese, have apparently no right to at least have the parts of our history that are discovered be fully studied and documented because it will ruin the plans of multi-billionaires who are paying our government in droves to turn a blind eye to every single transgression taking place. It’s not only about stone, mosaics and ancient significance. It’s about this monumental carelessness and barbarism with which authorities handle every single situation in this country, including ruins and culture and houses and highways. And quite honestly, I’ve come to expect nothing less of people who probably find the pillars of Baalbek are enough for this tiny country. I recently visited the Wadi Bou Jamil area in Downtown Beirut to check out the infamous synagogue, currently being renovated. The area itself is a security zone within a security zone – call it security zone-ception. They have security forces for Hariri’s “Beit el Wasat,” the Serail and the synagogue itself. You can get to the synagogue by walking up the stairs of the Serail and then walking on the street towards the Capuchin church. Once you reach the church, proceed to the street that is sealed off with one of the red plastic barricades, with an ISF person guarding the entrance to the synagogue’s street. Don’t worry about him, though, just proceed as if he doesn’t exist. As a result of the security zones, the synagogue is off limits by a huge gate that is sealed shut. You can still see the building from outside but you are not allowed to go in. Furthermore, you are prohibited from taking pictures of any kind whatsoever. We asked the security guard present near the synagogue if we can get access if we happened to be Jewish and he said no. He then said no one comes to this area except for very few tourists who want to look around, which is understandable because the area is so segregated from Downtown Beirut and yet so close that finding it is a task on its own so many Lebanese don’t care it exists to begin with. 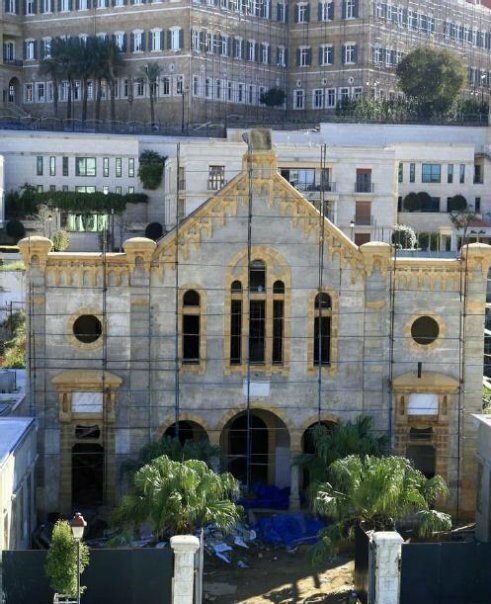 I wonder, though, what’s the point behind so much security if the synagogue’s renovation is supported by the different political parties in Lebanon? I guess what’s been declared is drastically different from the hidden intentions…. Typical of Lebanon. Until then, the synagogue is such a beautiful location in Beirut, in a very serene area of Downtown Beirut, whose calm contrasts drastically with the bustle of the surrounding shops and streets. It won’t be long before they ruin it with high-rises as well. They’re already talking about demolishing the Roman hippodrome near the synagogue to replace it with a high-rise.